Hector Aristizábal will be presenting his solo performance at CSULA California State University Los Angeles on May 28 from 4:00 p.m. to 8:00 p.m. 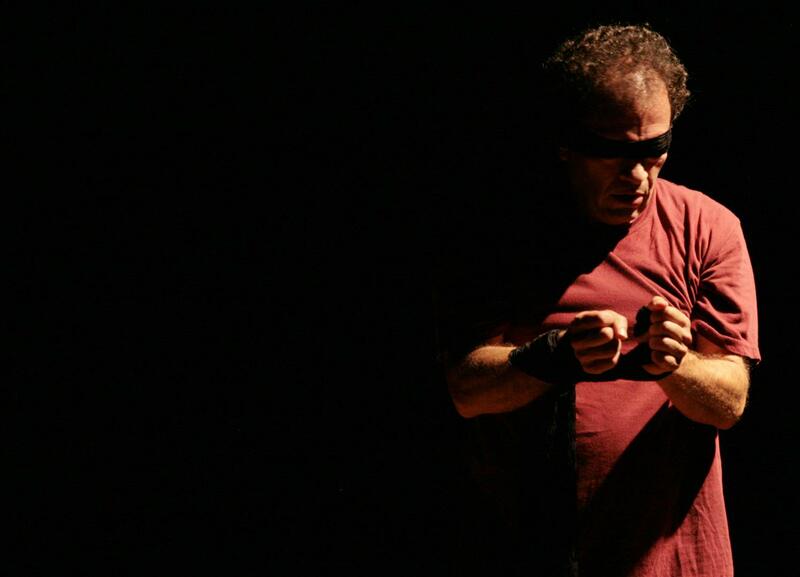 In a harrowing solo performance, Hector Aristizábal reenacts his arrest and torture by the US-supported military in Colombia and explores possible outcomes–violent rage? Or channeling that energy into the peace movement? Nightwind, directed by BJ Dodge, was created in collaboration with writer Diane Lefer and musician Enzo Fina. Click here for a selection of photos from the show. After the forty-minute performance, Hector leads an interactive workshop with the audience to process the show. Using dance, dynamic mediation and image theatre, he invites those present to explore solutions to torture using their bodies and voices. After this session Hector will lead an introductory workshop to Theatre of the Oppressed techniques.